Toyo Ink SC Holdings Co., Ltd. (President Katsumi Kitagawa) announced today that it established the wholly-owned subsidiary Toyo Ink Turkey Kimya Sanayi A.Ş. in Istanbul, Turkey. The office was officially opened on January 12, 2015 with a paid-in capital of 6.38 million Turkish liras. Turkey is a land that has flourished from long ago in its historical role as the crossroads of civilizations and as a geographically strategic base straddling both Europe and Asia. Recently, it has also been attracting attention as a commercial hub, including the North African region, due to the growth of emerging nations and changes in the global economic environment. The Toyo Ink Group expects the region to turn into an industrial center for its core competency markets as commercial printing, food packaging, automobile and electronics. The new subsidiary will begin the import and sales of Toyo Ink Group products in its inaugural fiscal year. In the future, the company plans to evolve the business with the aim of setting up a local manufacturing base as a regional operational hub. Under its medium-term management plan “SCC-III Evolution Plan,” which started in April 2014, the Toyo Ink Group aims to raise its overseas sales ratio to 50%. Moreover, for the sustainable growth of the Group beyond 2017 and its next long-term vision, the Group will further heighten this targeted value while carefully selecting which overseas ventures to invest in actively. The Toyo Ink Group first set up a representative office in the country in March 2014 to conduct research on the Turkey market. Having recently achieved some positive results, it then took a step forward with the establishment of the Istanbul office. Toyo Ink Turkey Kimya Sanayi A.Ş. is located on Büyükdere Street, 5th floor in the Büyükdere Plaza, in the Şişli District of Istanbul. Satoru Nakajima serves as president. Headed by the Tokyo-based holding company Toyo Ink SC Holdings Co., Ltd., the Toyo Ink Group is a leading manufacturer and supplier of a variety of chemical products based on its unique color materials, adhesives and resins technologies accumulated over a century of manufacturing expertise in pigments and printing inks. Today, the Group consists of approximately 70 companies and more than 8,000 employees in 24 countries and areas around the world. Color-Logic--developer of the Process Metallic Color System--has rolled out a new mobile-friendly website (www.color-logic.com) with many exciting features demonstrating their software. Announcing the new website, Color-Logic Director of Sales and Marketing Mark Geeves said: "Research indicates that graphic designers, agency personnel, and brand managers increasingly utilize mobile devices to research technology. The focus of the new website is to drive demand to our licensed printers around the world. Accordingly, we have redesigned our site to be much more visual and navigable, and to provide a better user experience when viewing the many samples and demonstration videos we provide. 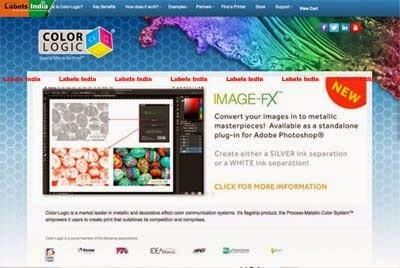 The new Color-Logic website dramatically shows how our software and just five inks can provide 250 metallic hues plus myriad special effects that brands can use to drive attention to their products on the shelf." With the Color-Logic Process Metallic Color System, brand managers, product managers, corporations, and advertising agencies can differentiate themselves and their clients from the competition. Color-Logic tools simplify design and print production, creating eye-catching decorative effects for use on branded product packaging and associated collateral. The Color-Logic system is compatible with offset, inkjet, flexography, digital presses, screen printing, and gravure. It is ideal for packaging, pouches, direct mail, point-of-purchase material, signage, postcards, literature, booklets, labels, shrink sleeves, calendars and much more. In its first-ever elections since its re-launch last year, Authentication Solution Providers’ Association (ASPA) has elected Mr. Umendra Kumar Gupta, Chairman and Managing Director, Holostik India Limited as its new President. One of the founder full members, Mr. Gupta has also served as the Association’s President during 1998-2006 and then again in 2008-2010. Mr. Gupta is the only Indian holographer to receive the coveted “Brian Monaghan Award for Business Innovation” from International Hologram Manufacturers Association for his outstanding contribution to the development of the hologram industry. 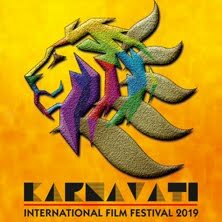 The governing body also includes Mr. Arun Aggarwal, CEO, Kantas Track-Pack, who will serve as the General Secretary and Treasurer of ASPA, Mr. Luv Shriram, Managing Director, Shriram Veritech, and Mr. Deepak Gupta, Director, Shree Lamipack. The elected governing body has also invited Mr. Nityanand S. Shenoy, President and Managing Director, PRS Permacel and Mr.Mukesh Goyal, Director, Gopsons Paper Limited as two additional co-opted members. 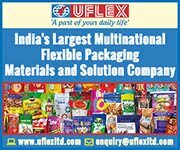 Immediate Past President Mr. Manoj Kochar, Director, Holoflex Ltd., will continue to be on the governing body as an ex-officio member. Since its re-launch in October 2014, ASPA’s membership strength has increased by nearly 25%. The Association recently celebrated its 16th Anniversary in December, and aims to become the singular voice of the authentication solution providers in Asia and around the world. ASPA works closely with global authorities such as International Hologram Manufacturers Association (IHMA), Counterfeit Intelligence Bureau (CIB) and Interpol, as well as industry bodies in India such as FICCI CASCADE, CII, ASSOCHAM and Indian Institute of Packaging. Recently, two ASPA members were also appointed to represent Asia on the IHMA Board. ASPA Code of Conduct mandates that its members adhere to the highest level of quality and ethical standards. 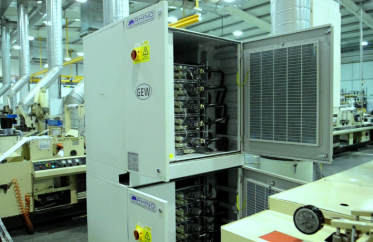 The company replaced its 20-year-old UV lamps with a UV curing system comprising ten E2C lamp heads with their associated Rhino electronic power supply. 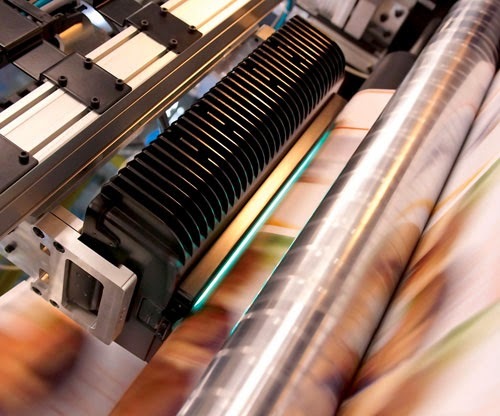 GEW UV systems are designed specifically for high performance energy-efficient printing presses with applications ranging from narrow web label printing to large format industrial applications working with a wide variety of substrates. The investment was made to support efforts in optimising reliability of production output, increasing uptime and reducing energy consumption. According to Coveris, installing the UV system means it can provide customers with a proven range of labels with better reliability as far as volume and leadtimes are concerned, which they see as key elements in offering clients the best possible quality and service. A major advantage of the new UV system for Coveris is the fast start-up and minimised maintenance time with consequently improved production efficiency and reduced downtime. In addition, the lower temperature output of the system means less heat and CO2 discharge. The improved curing efficiency of the new E2C lamp and reflector design meant press operators were more confident in running the press faster with less power. Whereas older UV systems require regular cleaning to maintain optimum operating efficiency, this procedure is rarely necessary with this system. 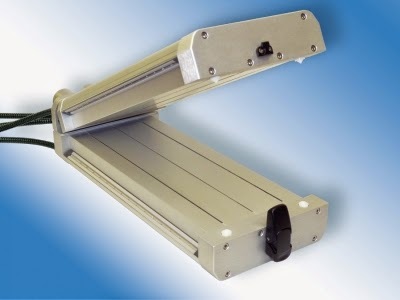 In addition its high energy efficiency means that reduced lamp power can be used to run the press, resulting in significantly prolonged lamp life cycles. ‘We were used to changing lamps every 1000 hours and are now pushing forward to changing every 3 to 4000 hours,’ confirmed Mr Banks. Flint Group is pleased to announce the launch of a new page on their website specifically designed for E-News and Social Media. This new webpage is a central hub where customers can subscribe to one, or all, of Flint Group Packaging and Narrow Web's three newsletters, or link with Flint Group's social media sites. The e-newsletters will discuss latest product news, upcoming events, seminar information, sustainability information, printing tips, and key industry topics. Deanna Klemesrud, Global Marketing Manager Packaging and Narrow Web, had this to say, "Flint Group has been communicating product and event news via electronic formats since the early 2000's - we've now expanded those communications to our packaging and sheetfed business units in North America and EMEA. We welcome printers and converters to join our subscriber lists of over 2000 current readers." 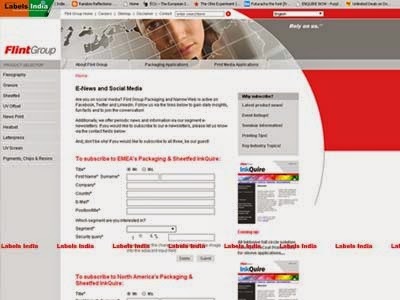 Deanna continues, "E-newsletters are an innovative, modern, and efficient way to reach the growing, global, markets of packaging and narrow web; this is an excellent medium for passing along the latest innovations from Flint Group. It is our goal to compile information that is value-added and current - it is our objective to provide our readers with accessible links to our extensive staff of global experts." Flint Group is also active on LinkedIn, Twitter, and Facebook and calls on their customers to engage with them via these social media outlets. "Today, more than ever before, people want answers and information right away. Using social media is a great way to find daily news, and also to exchange ideas and information," explains Klemesrud. "Customer feedback is crucial in any form of communication; our presence on social media enables efficient two way exchanges." To access the new webpage and subscribe to the e-newsletters, or to link with Flint Group's social media sites, readers can use this link - http://bit.ly/1DCXphy. Xeikon, an innovator in digital color printing technology, is pleased to announce its first Technology Center in Asia Pacific. The offices are based in Malaysia and testify of the strategic focus and continuous growth Xeikon is experiencing in this region. The official inauguration earlier this week was well attended by Xeikon customers from the label, folding carton and document & commercial markets, and presided over by Mr. Cheong Kok Wai, the President of the Selangor & Federal Territory Chinese Printing Presses Association, Mr. Dato Koay Hean Beow, President of the Malaysian Printing Association and Mr. Wim Maes, CEO of Xeikon. The new Technology Center features Xeikon’s extensive portfolio of presses and suites for labels and packaging applications as well as for document and commercial printing applications. On display, is the Xeikon 3050 digital press, its wide web entry-level press of the Xeikon 3000 Series. The Xeikon 3050 press is designed specifically for label and packaging converters who need a wider web width for the production of their prime label, folding carton, promotional and transfer applications. “Xeikon is building a strong sales channel network in Asia supported by a long-standing market and industry knowledge. Through a vast array of digital solutions offering flexibility, quality and creativity, Xeikon helps its customers to stay ahead of developing trends. 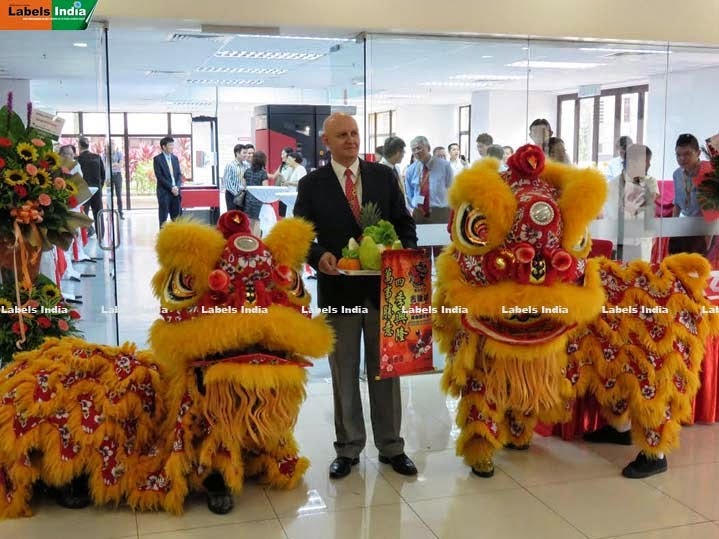 The new Malaysia-based Technology Center will allow us to further improve our service to new and existing customers in the region,” concludes Bent Serritslev, Managing Director Xeikon Asia Pacific (ASPAC). Future visitors and customers will also have the chance to view Xeikon’s large set of solution suites developed in collaboration with its global network of Aura partners. The suites respond perfectly to the needs of some of the fastest growing digital printing niches. drupa 2016 set for success: The new drupa! drupa 2016, the leading international trade fair for print and crossmedia solutions, is already set for success: Worldwide industry and its global players are giving their clear support for the next drupa, and many have booked larger exhibition space than for the previous show. Even now – 17 months before the start of the show on 31st May 2016 – 80 percent of the exhibition space is confirmed as booked. If this trend continues, drupa 2016 will once again, as throughout its 60 year history, be sold out and will cover the entire marketplace relating to print and crossmedia. International global players and market leaders will be at drupa 2016 alongside upcoming and innovative companies from around the world. Werner M. Dornscheidt, Chairman of the Board at Messe Düsseldorf gives his initial assessment, "In the light of the challenging environment, this is a more than outstanding result. No other industry event worldwide – neither the small, regional niche events nor national trade shows – can offer what we can. This result clearly confirms that our strategic realignment with its focus on future-oriented and highlight topics is correct. " 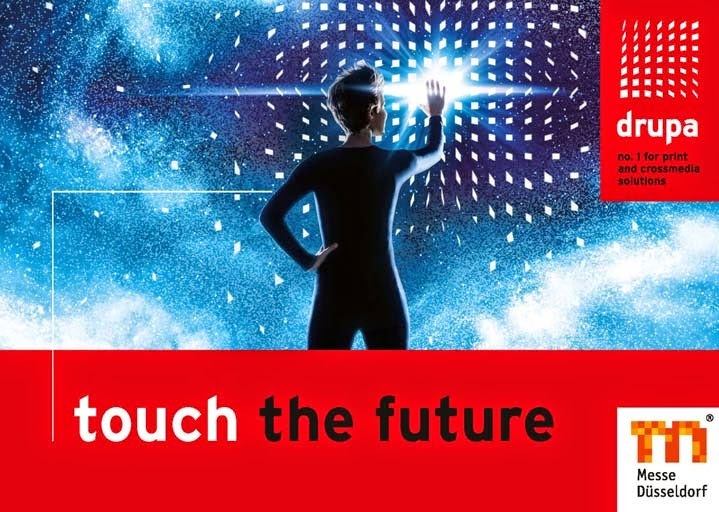 Under the motto of "touch the future" drupa 2016 will focus more heavily on future-oriented technologies such as printed electronics, 3D printing and inkjet printing with its industrial applications. These innovative technologies are driving the market forward and are opening up significant opportunities and growth potential worldwide, primarily in the field of packaging, functional and industrial printing. According to Smithers Pira (UK), sales in the packaging print sector will rise annually by four percentage points to US$ 970 billion by 2018. There are also indications of growth in the industrial and functional printing sector. Since 2008 this market, that includes printing processes for the production of decorative and laminated surfaces, ceramics, vehicle parts, promotional items or electronic products, has risen annually by 13.4 percent and in 2013 achieved a volume of US$ 43.7 billion. Experts from InfoTrends (USA/UK) currently value the market at US$ 100 billion. "We recognised the growth potential of these markets very early on and successfully set in motion the special "PEPSO" (Printed Electronics Products and Solutions) exhibition at drupa 2012, for example", explains Werner M. Dornscheidt. "At drupa 2016 we will cover this topic with additional events in the specialised programme and in the form of special shows, known as "touch points"." The market for 3D printing is developing even more dynamically. The global market volume is currently estimated at around US$ 2.2 billion. The Association of German Machine and System Engineers (Verband Deutscher Maschinen- und Anlagenbau) that recently founded the company Additive Manufacturing, is anticipating an annual growth rates of 25 percent. "We have therefore developed the "3D fab+print" brand specifically for this market segment,” says Werner M. Dornscheidt. “At drupa and other relevant Düsseldorf trade fairs, we are joining forces with other exhibitors in 3D printing technology and bringing greater focus to the entire topic of 3D". The response from the industry to this strategic realignment at drupa is clearly positive, as confirmed by the level of registrations. Claus Bolza-Schünemann, Chairman of the drupa exhibitor advisory board and Executive President of Koenig & Bauer AG, welcomes the "new" drupa. "In the online age there has been much discussion in our sector about the usefulness of trade shows. 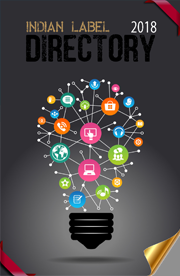 However, the internet simply cannot replace direct contact with people and ideas in the global print and media marketplace, or indeed direct experience of the latest technologies and solutions for this enormously varied market. At drupa 2016 we are again expecting lively interaction for both tried & trusted and the very latest ideas in all areas of print and crossmedia. The slogan "touch the future" clearly highlights the focus on innovation and new concepts. New topics such as functional printing, printed electronics or 3D printing will be reflecting the capacity for change and the need for innovative printed matter in our industry far beyond the confines of the trade show halls. KBA will certainly be there once again!" The relevance of drupa for the entire sector is also underlined by Kodak: Chief Marketing Officer Steven Overman says, "Kodak looks forward to being at drupa 2016. drupa's new focus on future technologies suits Kodak perfectly. It's the ultimate venue to show our integrated print solutions to customers and partners – publishers, printers, advertisers, manufacturers, consumer electronics suppliers and other tech companies". You'll see Kodak's process free plates that reduce environmental impact, systems that make smart packaging more eye-catching, the world's fastest and highest quality inkjet presses, and micro 3D printing processes to mass produce touch sensors." The relevance of new markets and target groups was recognised early on by drupa 2016 exhibitor Mimaki and as a result the company is giving the show its full backing: "drupa 2016 will be the number one show to spot trends in print & crossmedia solutions, so that is where Mimaki will be", emphasises Mike Horsten, General Manager Marketing, Mimaki Europe. "Our expanded portfolio consists of a myriad of printing solutions for any print service provider. Be it large volumes, personalised printing on particular substrates or peculiar objects, Mimaki can deliver the right solution to get the job done. This diversity in our customer base challenges us to select the right show for the right audience. But drupa delivers a heterogeneous attendee crowd and offers exhibitors and visitors alike the chance to get inspired to touch and print the future - we have to be there." Heidelberger Druckmaschinen AG is also giving its full backing to drupa. "drupa 2016 will be an interesting milestone for us to present our integrated offset and digital technologies with the corresponding services and consumables - in a new dimension. In line with present market requirements we will be demonstrating innovative solutions alongside our partners in Düsseldorf", says Harald Weimer, Executive Board Member at Heidelberger Druckmaschinen AG and member of the drupa committee. The internet and digital communication overall has changed print in a fundamental way. This is emphasized by the current "drupa Global Insights" report entitled, "The effects of the internet on printing – the digital flood". Interaction is the name of the game. Big data, web-to-print, variable data printing and internet-supported tools such as augmented reality and QR codes characterise and impact the entire cosmos of printed products and the complete workflow. Here drupa is pulling out all the stops with its highlighted topic of multichannel printing. Hewlett-Packard, an active member of the drupa committee since 2013 and a top ten exhibitor at drupa, confirms the new direction: "Communication between people is evolving just as quickly as technology,” reflects Francois Martin, Worldwide Marketing Director at HP Graphics Solutions Business. “The new crossmedia strategy at drupa with the integration of digital and analogue printing as well as print and online will show that the printed product continues to play a key role in communications. Change in an industry requires courage and firm decisions. The realignment does exactly that and I hope that everyone realises that a new journey is beginning. The new drupa stands for effective and sustainable communication in a social, mobile and cloud-based world." EFI, a company that has also very recently become an active member of the drupa committee and top ten exhibitor at drupa 2016, also believes that drupa is taking the right path: "In a world where the "future" quickly becomes "now," drupa 2016's realigned aim to "touch the future" perfectly describes what visitors would like to see,” says Guy Gecht, CEO EFI. “In a fast-changing world working in an often challenging industry, customers deserve to have the opportunity to explore and compare future investment options. No other event allows for that better than drupa. The show truly reflects the direction of our industry for the four years following each show. The best way for EFI to honor drupa's 60+ year legacy is to make the 2016 event a world-class showcase of future technology and innovation that allows printing companies to take the lead in an ever-evolving, opportunity-filled industry." Another company offering definite support for this strategic realignment is another top ten exhibitor at drupa 2016 – Konica Minolta. General Manager, Toshitaka Uemura, CP Business Division/Sales Headquarters, Konica Minolta, Inc explains: "With drupa's strategic realignment and particular focus on print & crossmedia solutions, package printing and highlighting the industry's innovative strength, Konica Minolta is the perfect match for drupa 2016: We are constantly delivering new business opportunities by virtue of our deep understanding of the production printing market and our customers' needs combined with our high-end technology. It is the right time for innovative approaches and optimized workflows for a successful future for the commercial printing and graphic arts industry and we are well positioned to prepare our customers’ businesses for the new digital era." Also giving their backing to the digitisation of the sector and the repositioning of drupa is Landa Nanographic Printing: "drupa plays an important role in the printing industry's evolution into a 21st century communications medium. Our choice of drupa 2012 as the launch platform for Landa Nanographic Printing was the start of an incredible journey, both for us and for the industry. We expect that drupa 2016, at which we will almost double our stand space to some 2,600 square meters, will be another historic milestone on the road to the digitization of the printing industry", states Ila Bialystok, VP of Marketing, Landa Digital Printing. After analysing all the registrations, the 19 trade fair halls will be structured according to the individual industry areas and topics starting at the end of 2014. The specialised programme – such as the drupa innovation park, the drupa cube or the "touch points" theme parks – will be designed accordingly. The exhibitor admission process will begin in September 2015. An initial exhibitor list will also published online in September 2015. LMI Packaging Solutions, a leading provider of heat sealable lidding for the beverage, snack, dairy, and dressings & sauces markets, has invested in a Mark Andy Performance Series P7 in-line flexographic press for its Pleasant Prairie, Wisconsin, facility. A Women's Business Enterprise (WBE) certified business, LMI has been in the flexible packaging market nearly 50 years, focusing on the manufacture of superior heat sealable lidding products since 1967. The company has been recognized as a Green Professional by the Wisconsin Sustainable Business Council and since 2010 has been a member of the US EPA’s Green Power Partnership, committed to purchasing renewable energy to offset 100% of the electricity used in their manufacturing operations. The investment in the 20 inch (508mm) Performance Series P7 supports these sustainability initiatives with its quick job setup and changeover, and its drastic waste savings over traditional flexo solutions. In addition the Performance Series’ approach to web temperature management and tension control makes it an ideal press to effectively manage and run the 3-4 mil plastic and foil lamination materials at full production speeds. The Mark Andy P7 was installed in January 2015 and will run three shifts, 5 days per week. 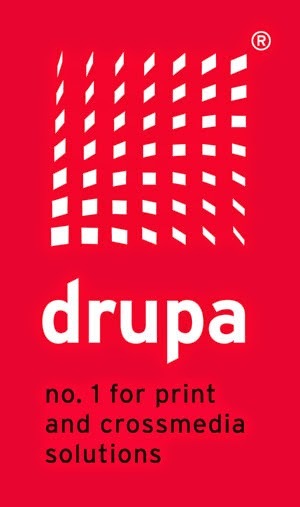 drupa, the world's leading trade fair for print and cross-media solutions, will switch to a three-year cycle after 2016, when it runs from 31 May to 10 June. This decision was taken by the drupa committee at today's meeting in Duesseldorf. "The entire print process chain has changed radically because of the Internet and digital technologies. New applications and solutions are developing and opening up new fields of business. At the same time, there is more focus on innovative technologies, such as 3D printing, printed electronics and func-tional printing," explains Claus Bolza-Schuenemann, Chairman of the drupa Advisory Board and President Koenig & Bauer Group. "It's more important than ever before that our customers have an overview of the latest technology and are also inspired to use new business models and solutions. drupa is the only specialist trade fair in the world to offer this- and will do so every three years in the future." One positive side-effect of this change is that drupa will no longer run in 2020, the same year as interpack, the world's most important trade fair for the packaging industry and the closely related process industry. "The drupa exhibitors who specialise in packaging printing would have found 2020 an incredibly stressful year so the change will clearly benefit customers," emphasises Werner Matthias Dornscheidt, President & CEO Messe Dusseldorf. The precise dates haven't yet been finalised, but it's clear that drupa will take place in the traditional drupa month of May in 2019, 2022 and 2025 in Duesseldorf. 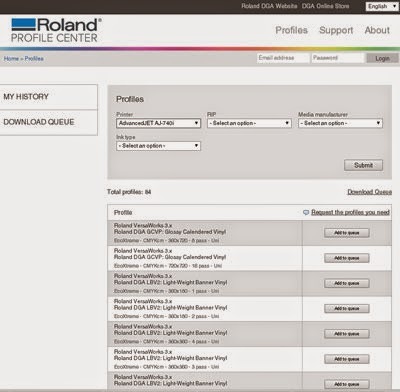 Roland DGA has announced the launch of its new Roland Profile Center, a free, one-stop site that makes it easier than ever for end users to obtain media profiles for Roland printers. By visiting this central online location, Roland users can access and download Roland-branded media profiles, as well as VersaWorks profiles offered by other major media manufacturers, with a few clicks of a mouse. “The Roland Profile Center is a great new resource for our users,” said Julie Gederos, Roland DGA’s marketing product manager. “It makes it incredibly easy for our customers to take advantage of a huge selection of media profiles and achieve optimum printing results.” In addition to significantly improving the user experience, the creation of the Roland Profile Center opens up new collaborative and co-promotional opportunities between Roland and the industry’s top media manufacturers. The newly-launched Roland Profile Center is part of the company’s ongoing commitment to providing world-class customer support and supplying a total solution for Roland users, including state-of-the-art digital printing equipment, software, ink, media, profiles and accessories. Locating, downloading and importing a profile from the Roland Profile Center requires only a few simple steps. The process is documented through a PDF and video available at the “Support” section of the Roland Profile Center website. For more information on the new Roland Profile Center, or to register as a user, visit www.rolandprofilecenter.com. To learn more about the complete Roland product lineup, visit www.rolanddga.com. MacDermid Printing Solutions announced today the commercial introduction of a new digital flexo printing plate designed specifically for optimized white ink laydown in flexible packaging. Digital MWW, MacDermid’s new “Whiter White Plate”, has been proven to dramatically reduce mottle, increase opacity, and produce brighter overprint colors. When used in combination with MacDermid’s LUX process and advanced prepress screening, the Digital MWW Printing Plate Package delivers a true step change in white ink laydown. MacDermid began development of the Digital MWW plate in late 2012 in conjunction with City Stamp Works, Inc. (CSW) as the two companies sought to determine the optimum combination of plate, screening, and tape for the best possible white ink laydown. After testing more than 270 different combinations, a technique for producing a “Whiter White” was developed. 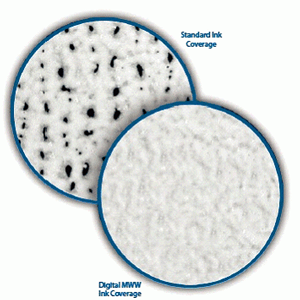 Digital MWW is commercially available in thicknesses of 0.045 (1.14mm), 0.067 (1.70mm), 0.107 (2.72mm), and in format sizes up to 50 x 80 inches (1,270mm x 2,032mm). 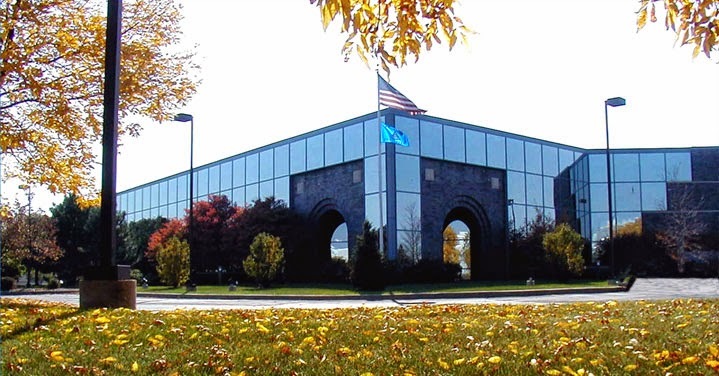 Founded in 1922, MacDermid, Inc. is a global specialty chemicals company serving the diversified needs of the Electronics, Industrial, Offshore and Printing industries. The Printing Solutions segment manufactures flexo printing plates and equipment for the package printing industry. MacDermid is a wholly owned subsidiary of Platform Specialty Products Corporation. Mark Andy's authorized agent in India, Flexo Image Graphics, is proud to announce that Type Company Ltd., a leading label converter and packaging specialist has installed a Mark Andy Performance Series P3. Type Company’s new press is designed with the latest advancements in ink technologies, colour, register, and impression controls. Type Company Ltd. is the first company in Ghana to procure a Performance Series P3. They recently had the Performance Series P3 installed at their facility and it has already started production at full throttle. Firmly entrenched in the labels and packaging sector, this new investment at Type’s facility is sure to establish a new benchmark for performance in the narrow web industry. With the local demand levels steadily increasing and to help support its growth plans, Type Company Ltd. has selected the P3 Mark Andy Performance Series. “We looked at every press on the market, and in the end chose the Mark Andy P3 Performance Series flexo machine based on their outstanding performance for fast make-readies, low waste, and print quality. Because of its innovative print platform, the P3 machine delivers consistently high print quality and we are sure our customers will be more than happy to benefit from this investment. This will help us to meet our customers' expectations and perhaps give them more than they can ask for." stated Mr. Coby Asmah CEO of Type Company Ltd.
“At our end, we were always searching for ways to improve our productivity, reduce waste and streamline the workflow. Mr. Gourav Roy from Flexo Image Graphics introduced us to the Performance series and we took an instant liking for it. Also we are fully convinced that this industry-changing technology is the new benchmark in narrow-web flexo presses,” added Mr. Coby Asmah. “We studied Type’s requirements and suggested they go for the P3 which is a wonderful start-up machine in the performance series segment. This press is the right fit for their current and future goals and is a risk well worth taking. 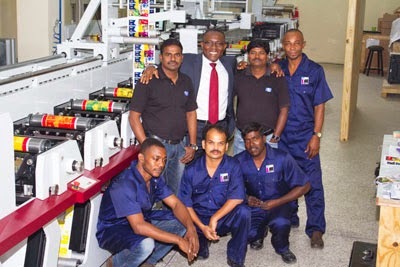 Paying great attention to our customer’s needs, providing efficient and qualified professional assistance, as well as assuring reliable and prompt service at every stage - from installation to machine commissioning are part of FIG and Mark Andy’s policies,” added Mr. Gourav Roy, Managing Director for Flexo Image Graphics. For more than 20 years, Type Company Ltd has stayed true to its mission – to maintain “consistent quality, timely delivery, and satisfied customers. “We use a winning combination of staff expertise and cutting-edge technology to keep our existing customers happy, and attract new ones,” summed up Mr. Coby Asmah. Xeikon, an innovator in digital color printing technology is pleased to announce its presence at Label&Print 2015, which is co-located with the well-known EasyFairs Packaging Innovations show and taking place in Birmingham on 25 and 26 February. On stand H15, Xeikon experts will be showing how the digital production of labels and folding cartons can transform the business of packaging printers, converters and brand owners alike. 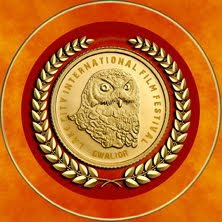 “We look forward to discuss and share experiences on the game-changing innovations in digital production. Packaging, especially folding carton, has become a powerful tool to maximize the product’s selling power, build a brand image and protect it. This has posed certain challenges for packaging printers and converters, of which the biggest challenges are ever-shorter runs and increasingly faster turnaround times. Our Xeikon Folding Carton Suite is helping them to meet these challenges by delivering top quality packaging applications with a unique look and feel,” says Filip Weymans, Xeikon’s Director Segment Marketing Labels & Packaging. At the show, Xeikon will also be working with Aura partners CHILI Publish and Zünd to demonstrate an actual short-run folding carton application. On display will be the very popular Clics Boxes from Belgian toy manufacturer Clics. Visitors that register in advance atwww.chili-publish.com/packaginginnovations will be able to customize these folding carton toy boxes with photos and text, making an original gift for kids. They will then be produced by a Folding Carton Suite based solution powered by a Xeikon Digital Press and finished by digital cutting specialist Zünd. During the show opening days, Xeikon is also organizing an exclusive preview of its new Xeikon Cheetah digital press together with its customer Mercian Labels. 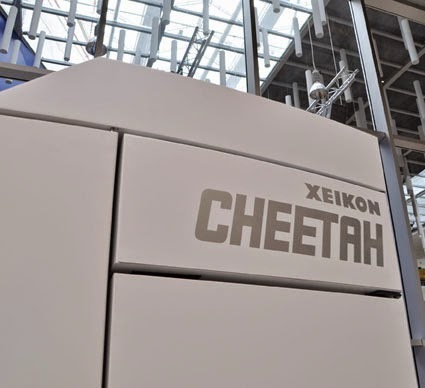 Mercian Labels is the world’s first pilot site of the Xeikon Cheetah press and the company chose this innovative, high-speed press to help it continue its double-digit growth path. The press will be on preview on 24 and 25 February. The 3-hour tour starting at 13:00 will include a presentation on the evolution of the label market and the reasons behind the purchase of the Xeikon Cheetah press by Mercian Labels Managing Director Dr. Adrian Steele. Mr. Steele will also give a short overview on the success story behind Mercian Labels, followed by a tour of the factory where the Xeikon Cheetah will be on display. The Bramwell Label Company is a successful producer of wet glue paper labels in the UK and has been printing labels in Trafford Park for 20 years. The company produces over 80 million labels every month for leading food and drink manufacturers and prides itself on delivering a high-quality end-to-end service. Despite this successful business model, an increasing demand for self-adhesive labels and plastic sleeves has meant that the company faced some challenges over the last few years. Bramwell Label Company began researching and testing the latest digital presses from all the leading manufacturers. 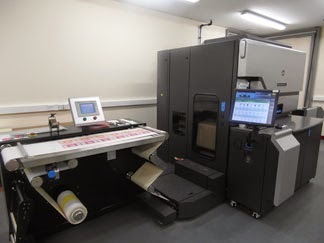 The HP Indigo WS6600 Digital Press was installed in November 2014, alongside an A B Graphic Digicon Series 2 machine. A seven-colour narrow web digital press, it is the most flexible, productive digital press in the label market today. “We have already seen the benefits of the HP Indigo WS6600. It’s a truly versatile solution that has opened up many new markets and revenue opportunities for our company," concluded Bramwell. 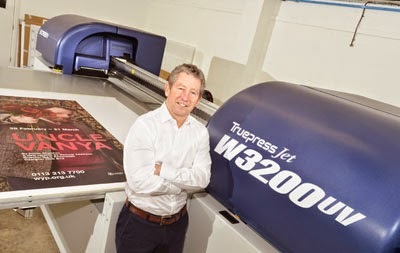 Leading label, plastics and digital printing specialist Print-Leeds has cemented its position as one of the UK’s most technologically-advanced printing houses with the arrival of a Screen Truepress Jet W3200UV ST wide-format flat-bed printer. The new machine replaces the Screen Truepress Jet 1600UV printer that Print-Leeds installed in 2010 to meet increasing demand for high-quality short-run and one-off work. Print-Leeds’s Truepress Jet W3200UV prints CMYK plus light cyan and light magenta for photo-quality reproduction of wide-format graphics. The company also specified a white ink capability to ensure colour saturation whatever the substrate being printed, including coloured and transparent media. Like its Truepress Jet 1600UV predecessor, the Truepress Jet W3200UV outputs a wide variety of backlit graphics, wide-format posters, POP displays and signage and can handle media up to 50mm thick. The new printer also incorporates Screen’s versatile multilayer print capability, which enables printing of up to eight superimposed layers to create high-impact products. For example, lower layers can be built up in high-speed mode before printing the top layer in high-quality mode to produce embossed products with striking 3D effects. Rod founded Print-Leeds in 2002 and quickly developed a reputation for high-quality litho and digital printing on plastics. The 2012 acquisition of S&C Labels, Huddersfield, added wet-glue label printing. Today Print-Leeds employs over 30 people at its 19,000 square-foot site in Stanningley and is on target to turn over £4 million this year, a 10% year-on-year rise. The company also prints labels for most of the UK’s drinks companies. 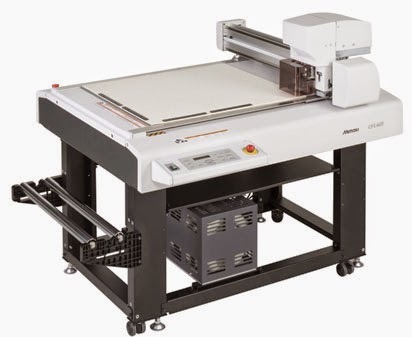 Mimaki, a global industry leader and manufacturer of wide-format inkjet printers and cutting plotters, today launches the CFL-605RT Compact Flatbed Cutting Plotter that offers both creasing and cutting and will enable operations to create and deliver high quality, cost-effective, designs, smoothly and quickly. The CFL-605RT is designed with Mimaki’s well-established technology to support immediate finishing of packaging and prototypes with multiple functions. 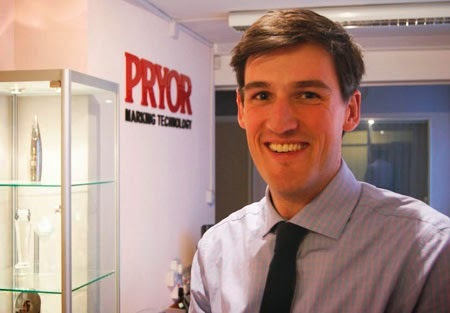 Alastair Morris has been promoted to Sales Director at Pryor Marking Technology, one of the world leaders in providing traceability solutions for supply chains, particularly in the automotive and aerospace sectors. Alastair has worked as Business Development Manager at the company for the past 16 months, successfully achieving growth for the business in new and existing markets. His new role as Sales Director will see him heading up the sales and marketing functions at the group, which sells to over 60 countries and has a UK head office, a subsidiary in France and a joint-venture operation in India. He will manage a sales force of 10, which has expanded recently with two new staff, due to the continued success of the business. Alastair will be focusing on upgrading marking technology in the company’s mature UK and USA markets and increasing sales from growing markets in the Far East. He will also be developing technologies to exploit new opportunities in nuclear and oil and gas. Before joining Pryor Marking Technology, Alastair worked in a Technical Sales role within the automotive division of Bosch, where he was based for nine years, most recently as Sales Manager. An Engineering Graduate, Alastair has the technical understanding of engineering applications, combined with the experience in sales and business development. Pryor Marking Technology is renowned for its expertise in developing bespoke solutions to ensure complete traceability of components. Recent innovation in developing fully robotic laser marking technology has seen the company increase turnover by 20%, with major new contracts won in the automotive sector. Pryor Marking Technology, which was established back in 1849, started life as a manufacturer of hand tools, becoming the partner of choice for developing traceability solutions for a wide range of market sectors. At PrintPack India 2015 (11-15 February, India Expo Centre, Greater Noida, Delhi NCR), QuadTech, Inc. will present a broad range of press technology solutions for packaging converters, newspaper printers, and commercial printers at Hall 10, Stand F-1A. "Printers are facing increasing demands to improve print quality," says Hemant Desai, QuadTech General Manager for India. "At the same time, tightening profit margins are a concern for all commercial, newspaper, and package printers. The good news is that all indications suggest significant growth and opportunity for the Indian print market. Our portfolio of market-leading color and inspection technology enables printers to meet these market demands and achieve reliable, high quality output with faster turnaround times, and reduced ink and substrate waste." The QuadTech Color Quality Solution combines inline spectral color measurement, ink formulation data and ink dispensing technology to ensure accurate color matching. For the first time, color data is automatically shared and processed between QuadTech's inline spectral color measurement technology, X-Rite's offline Ink Formulation software, and ink dispensing systems. Color quality stays within targets and consistently high while downtime and waste are reduced dramatically. The color targets are loaded into the QuadTech Color Measurement System with SpectralCam, which collects and maintains live spectral data inline, at full press speeds. Quality assurance is also guaranteed with the QuadTech Inspection System, which inspects 100% of the web 100% of the time. The system can be used with opaque, translucent and transparent substrates as well as on reflective materials, detects process faults (streaks, hazing, color variation and mis-register) as well as random defects (spots, mis-prints, hickies). The QuadTech Web Viewing System can be used as a stand-alone system, or in conjunction with the Inspection System, for real-time viewing of the moving web and optimum defect viewing. QuadTech PDF Verification software is an option that enables printers to catch errors before they go into production, by comparing approved artwork to a printed sample, ensuring correct press setup, print accuracy and quality. QuadTech will also highlight other products including the QuadTech Autotron 2600 with ClearLogic Register Guidance System, for minimizing waste and improving print quality for packaging and decorative printing applications. QuadTech DataCentral for Inspection, a powerful database that stores job and defect information from one or more presses and facilitates quality control decisions. QuadTech's Waste Management System takes quality control information from QuadTech DataCentral, and enables automatic control of the slitter/rewinder/sheeter to ensure that defective material is removed efficiently. Proofing Technologies, manufacturer of JetComp films used for producing flexible packaging mock-ups or proofs, has collaborated with Color-Logic to streamline prototyping or proofing of metallic flexible packaging. Color-Logic has certified JetComp 2 mil Silver Metallized Polypropylene film for use with its Process Metallic Color System. By utilizing the Color-Logic process and printing with an Epson, Mimaki, or Roland solvent wide-format printer, package designers can immediately see the effects of the Color-Logic system on their packages. Discussing the process, Color-Logic Chief Technical Officer Richard Ainge commented: "Prototyping metallic flexible packages was difficult and unpredictable until Color-Logic and JetComp collaborated to simplify and standardize the process. Color-Logic files may now be printed on JetComp metallized film using widely available wide-format printers to proof and produce short runs of new flexible packages." Color-Logic Director of Sales and Marketing Mark Geeves added: "Designs for printing on metallized films require complex white ink masks. The complex masks can be generated with just a click of the mouse using Color-Logic software, rather than the hours often required when creating the masks manually within Adobe Creative Suite. Our user-friendly Illustrator and Photoshop plugins enable graphic designers to produce dramatic effects and achieve greater shelf impact by utilizing the metallic substrate with white, cyan, magenta, yellow, and black inks within the design. Our collaboration with JetComp and their metallized films enables prototyping to be done in a fraction of the time and cost associated with traditional methods being used today." With the Color-Logic Process Metallic Color System, brand managers, product managers, corporations, and advertising agencies can differentiate themselves and their clients from the competition. Color-Logic tools simplify design and print production, creating eye-catching decorative effects for use on branded product packaging and associated collateral. The Color-Logic system is compatible with offset, inkjet, flexography, digital presses, screen printing, and gravure. It is ideal for packaging, pouches, labels, shrink sleeves, and other commercial printing and much more. Meech International is pleased to announce that it will exhibit at ICE Europe 2015, (10-12 March, Munich Trade Fair Hall A6, Stand 233), where its range of static control and web cleaning solutions will be showcased, including two recently introduced enhancements to its static range. As a well-established supplier to the international converting community, Meech understands the challenges that converters of flexible web materials such as paper, film, foil and nonwovens face, helping them to maintain efficient, safe and productive manufacturing environments. This will be the first opportunity for this specialist audience to view Meech’s new distance sensor and feedback system, introduced at the end of last year. The 971IPS and 929IPS static control bars, the latest enhancements to the company’s successful Hyperion range, are designed to help monitor and control static with greater precision in a variety of applications, including packaging and labelling. In addition, contact and non-contact web-cleaning solutions, to minimise wastage and achieve higher levels of productivity will also be on show, including the CyClean™ non-contact web cleaner. A compact, double-sided blow and vacuum-based web cleaning system which flows contaminants into an inline filter unit, the CyClean™ can clean webs up to 2m in width, is capable of removing 0.5 micron contaminants. Meech’s alternative non-contact web-cleaning solution is the ShearClean, available for web widths of up to 2.1 metres and web speeds up to 450 metres/min. The company also has two choices of contact web-cleaning systems: the TakClean™, with continuous single or double sided cleaning capabilities and capable of removing particles as small as 0.5 microns; the VacClean is available in two versions - the F4 and F5 - featuring compact extraction or vacuum fan extraction respectively. 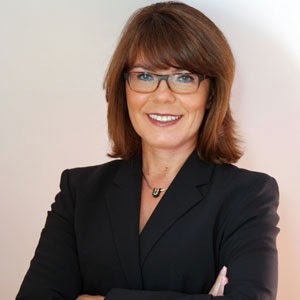 Xeikon, an innovator in digital color printing technology, is pleased to announce that Monika Olbricht has joined the company as Sales Director, Document Printing, Europe. Olbricht will take responsibility for sales and business development for Document Printing in Europe as well as the commercial launch of Xeikon’s Trillium technology, planned for later in 2015. Olbricht has studied, lived and worked in a number of European countries and is fluent in five languages. Prior to Xeikon, she served as Executive Director of Business Development for Commercial Print at Océ. During her 17-year career across a variety of management roles, she gained significant expertise in commercial and transactional printing, direct mail, book and newspaper printing. She brings with her well-established relationships with key industry players, including both printing operations and suppliers to the industry. Omron Automation India displayed its prowess in the industrial automation technology domain at the exhibition - SPS Automation India - 2015 at Gandhinagar. The exhibition, in its 1st edition, focused on all key innovative technologies across the realm of industry automation solutions that have the ability to reshape the manufacturing sector envisioned on the basis of the government's "Make in India campaign". 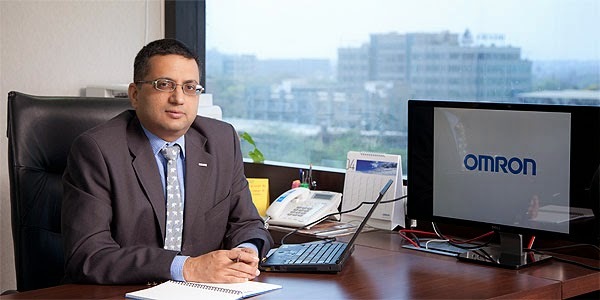 Commenting on the participation, Mr. Sameer Gandhi, MD, Omron Automation India, said, "Shows like SPS Automation India 2015 allow us to portray our strengths as complete automation partners and help in strengthening our reach and connect with key audiences - both industry and region specific. This participation is also a part of our efforts to accentuate Omron's presence in the Gujarat market." Omron, being a pioneer in various industrial automation products, is well positioned in assisting the Indian manufacturing sector with its ‘total solutions' approach. Themed "We Automate! ", the Omron booth exhibited the utility of all of its key offerings such as automation solutions for bottling machines , Vision & Safety solutions and the Sysmac integrated automation solutions that help crucial operations in manufacturing organisations especially in the packaging domain. 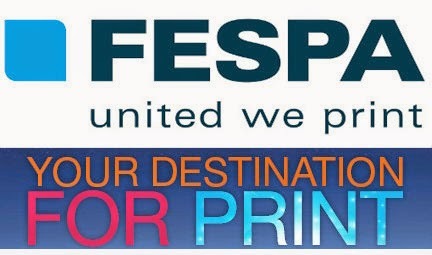 Fespa is staging four regional congresses in collaboration with its associations during the first half of 2015, as part of its educational commitment to its global print community. The four congresses will take place in Barcelona, Spain; Copenhagen, Denmark; Mexico City, Mexico and Johannesburg, South Africa. The events are funded through Fespa's Profit for Purpose initiative, which aims to reinvest profits from Fespa's global exhibition portfolio for the benefit of printers. The first Congress scheduled for 2015 will be the Southern European Print Congress in Barcelona, Spain, from 10-11 March 2015. Entitled, "The WOW Effect of Printing", the two-day event will be hosted in partnership with Fespa's Southern European member associations; Fespa España Association (Spain), Fespa France Association and Siotec (Italy). The second congress will take place in Copenhagen, Denmark from 24-25 March 2015. The two-day congress is being produced by Fespa's four Nordic associations; Graphic Association Denmark, Fespa Finland Association, Fespa Norway Association and FESPA Sweden Association. In addition to these new European congresses, Fespa will introduce two separate educational events in Mexico and Africa in 2015. The Mexico Congress will take place on16 April 2015 at Camino Real, Polanco Mexico City, ahead of the eighth Fespa Mexico exhibition, to extend Fespa's presence in the region and respond to regional demand for educational content. The African Conference will be organised in partnership with Fespa's African associate member, Printing SA. The one-day conference will take place on 21 July 2015 at the Gallagher Convention Centre in Johannesburg, one day ahead of Fespa Africa 2015 (22-24 July 2015). The standalone event will provide tailored insights and networking opportunities for printers from across Africa, adding value for senior decision makers attending the exhibition. Sean Holt, General Secretary, Fespa comments: "As a not-for-profit umbrella organisation of 37 national trade associations, we have a clear responsibility to support global printers to help them grow their businesses in a challenging and ever-changing environment. Each of these events will provide high-quality content from industry experts across diverse areas of the speciality print industry, tailored to these specific regions and based on the insight of our association members. "Fespa was founded to promote knowledge-sharing and best practice among printers and these regional congresses will ensure that printers can access Fespa's premium content through a local event among their regional peers. Our Profit for Purpose proposition differentiates Fespa fundamentally from other exhibition organisers while our global network of associations enables us to organise events to suit the needs of individual regions and target audiences. Working in collaboration with the local associations on these events really helps us to understand and reflect the requirements of local printers and the regional market trends." The four congresses reinforce Fespa's commitment to education, reflected in initiatives such as the Planet Friendly Guides and in the emphasis on free educational content at all Fespa exhibitions worldwide. The 2015 FIRST Robotics Competition (FRC) season has begun and the Geneva High School Robovikes, sponsored by The Label Printers, are back for their seventh season. Earlier this month, nearly 75,000 high-school students on approximately 3,000 teams at 107 venues around the globe joined the 2015 Kickoff via live Comcast NBC Universal broadcast. That six week time frame is a significant commitment of time and effort, which this experienced Robovikes team understands very well. Geneva High School’s team meets on Mondays and Fridays after school for about two to three hours, and then for about nine hours on Saturdays. And usually even more time as the competition nears. This past Saturday found the Robovikes working on assembly of this year’s ‘bot, exercising the “platform”, creating a new team web site, programming, watching, talking, laughing – pretty much everything you’d expect from a group of teenagers and their adult mentors. Now in the team’s seventh season there are a lot of veterans around the room, but also a lot of kids who have joined because their friends and families told them how much fun it is and/or because of the success that the team has enjoyed since its rookie season. And their reputation for success which comes from hard work, skill and fun is beginning to define the program. Mary Keyzer, a teacher at Geneva High School and the Robovikes coach, and two other principal adult mentors have volunteered countless hours working with the team since the beginning – Kevin Keyzer, a ceramics engineer and Mary’s husband, and Joe Kane, who is the Director of Research and Development at The Label Printers. On this Saturday, at the team meeting being held at the high school, Kevin Keyzer is joined by other mentors – his dad, John Keyzer, Tom Paskiewicz from MayTec, one of the team’s “R2D2” level-sponsors, and team dad Jon Snurka, whose son Brad (a senior at GHS) is in his 4th season as aRobovike. Brad Snurka is the only 4-year team member and this year’s team captain, and has really enjoyed being on the team, finding it a great introduction to the STEM disciplines. He said, “It was a good way to combine my programming hobby with building robots. And the scholarships are really great, too.” His job this year is to train other team members how to write code for the robot, and generally provide mentoring and leadership to the team. And he hopes to be the robot “driver” in the competitions this spring. Brad’s career goal is to teach high school physics, and he’ll be going to Northern Colorado this fall.